At the start of a new year, individuals and companies alike set out to accomplish new goals, attacking life with a renewed sense of mental toughness. Many partake in spiritual fasts, vision board activities, gym classes, reading challenges, determined to better themselves in a particular way. This year, I have yet to pinpoint exactly what my goals are. Maybe it’s the burnout I experienced last month from taking on too many projects. Maybe it’s the pondering to go back into the workforce that has me confused. I want to share some of my battles and what I’ve learned as a stay at home mom and working woman, because I know this can help someone else. Let me rewind a bit first and tell you more about who I am as a woman. . .
To understand me, you first have to understand me as a believer in Christ. Due to my belief system and values, I know I am called to live an extraordinary life, and be of service to others by utilizing my gifts. I do not believe in settling for the mundane, the mediocre, the good enough. I believe we are able to do astonishing things in our lifetime, if only we believe that we are capable. Even before adapting a lifestyle of Christianity though, I was a perfectionist. I was the one getting all A’s in school, receiving a grade point average more than perfect (hello 4.2/4.0 GPA). I took pride in being the first in my family to receive a full athletic scholarship, the first to graduate from college, the first to attend a top 20 university, to obtain a Master’s degree, to move across the country in search of more, so on and so forth. Total Type A personality. Although my personality type has served me well in positions of leadership and merit-based rewards, I’ve battled with anxiety and stress. I get conflicted with achieving for the sake of achieving, and living on purpose. Have you ever found yourself accomplishing greatness but never really taking the time to rest, reflect and pat yourself on the back? And although contentment can feel counterproductive to our goals, godliness with contentment is great gain (1 Timothy 6:6, Ephesians 13:5). What this means to me is that when we focus on what we have rather than what we don’t (or what we have yet to accomplish), we feel more grateful and thus at peace. I also believe that after God, my husband is to be my first priority. This means that my role as my husband’s helper is not one I should take lightly. Next on the list of priorities is my child(ren). Then comes my commitment to the church, friends and relatives, and my hobbies. So what exactly is my ministry? You see, growing up I had this idea in my head that I would be a millionaire by age 25. Did I mention I’m a dreamer? Uncapped income potential and financial freedom is what I was after. When I became a Christian, I was challenged to no longer spend my life pursuing money (and definitely not loving money). I have been challenged to seek the approval of the Lord rather than people. As I have grown in my faith, I look at money differently. I believe that money is a tool to be used to further the Kingdom of God and do good. Does God rejoice in blessing his people? Absolutely. He gives us infinitely and abundantly more than what we need as long as we trust him. Still, I would rather bless a deserving organization with a million dollars than a hundred dollars. The more resources you have, the more you can give. As a woman in my early 20s, I was climbing the corporate ladder, focused on financial success and status. Then I met my husband at age 24 and married at age 26. My husband’s profession as a professional athlete required me to rethink my own career plans. My belief system challenges me to put my husband first, and to become his helper (Ephesians 5:22-33, Colossians 3:18-19). My husband is instructed to put me first and forsake all others as well. That’s the beauty of marriage. As the wife of a professional athlete, your lifestyle is unique, likened to that of a military wife. That being said, the question of career for the woman becomes tricky. Do you move every time your spouse is released, traded, or signed with a new team? Do you stay put in one city and focus on your personal career aspirations? When you’re in love, you don’t want to be apart. No need to justify that! Many wives opt to stay with the husband, supporting him in his dream of playing a professional sport (which is a relatively short period of time for a career). This partnering role often takes on the form of #1 fan, personal chef, nutritionist, assistant, physical therapist, counselor, household manager, nonprofit president, caregiver, etcetera. Other wives find satisfaction in careers that allow for mobility: real estate, personal training, marketing beauty products, and online clothing boutiques to name a few. My experience in the professional football community inspired me to create a platform for pro sports wives and girlfriends, encouraging them to use their voice and connect with each other. In its third year, the business is taking the form of a digital media company. I’m conducting on camera interviews, publishing a magazine, managing a website and producing a television show. I’m a fan of Oprah Winfrey. I don’t know her personally and I’m not one to idolize humans but she’s impressive. I admire her ability to connect with diverse groups. I admire her commitment to showcase positive, purposeful, and inspiring content. She gives back and she’s doing good in the world. She’s doing good despite all the bad that has happened in her life. As a young girl, she experienced tragedy - molestation, abuse, neglect, teen pregnancy loss. Yet, she didn’t allow the negative experiences she had no control over to determine her future. She created her own extraordinary life by breaking down barriers. And not once have I heard her blame others or dwell on past misfortunes. I’ve had a few people tell me I’m the next Oprah. It’s been spoken over my life. Other women have said it convincingly. 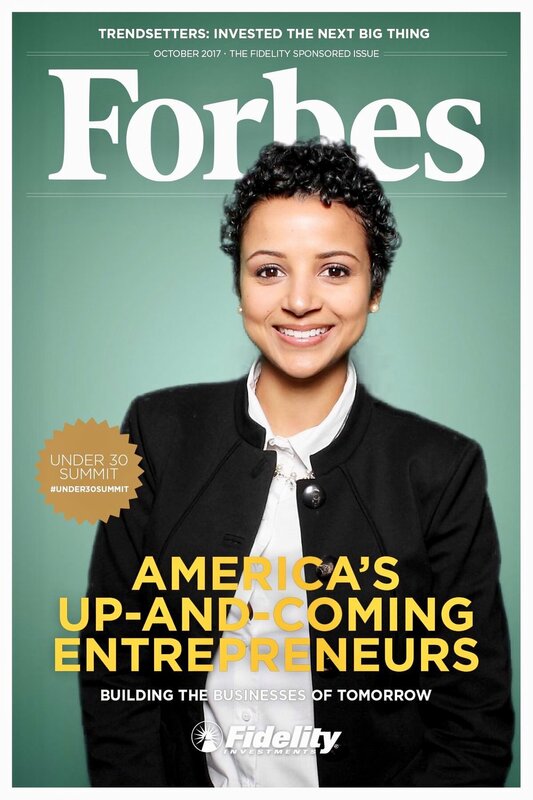 After attending the Forbes conference last year, I said it too! And it’s not because I don’t think I’m capable of impacting on the same scale as Oprah. Remember, I’m a dreamer and believe I have been called to live an extraordinary life. However, Oprah isn’t married. She doesn’t have children. And she wants no parts of either. In a recent podcast episode on Oprah's Super Soul Conversations, Oprah interviewed television producer/screenwriter/author, Shonda Rhimes. In the latter half of the interview, both women mentioned they had no desire to get married. They went even further by saying they would not have reached the same level of success with a husband. Oprah and Shonda eluded to the fact that work, for them, has required so much time and mental space that taking on the role of a wife would have handicapped them (in career). And yet, the idea of becoming the next Oprah drives me. It seems like a natural transition for me based on my career path, but it’s not natural. How many people can say they have a net worth upwards of $3 billion? How many can say they’ve given back to the world in the form of a television network, magazine, books, and leadership academy for girls? Oprah Winfrey can. But I have a husband. And I have a child. And I want another child. And I’m also in relentless pursuit of a life of impact. See the dilemma? Having been a stay-at-home mom (SAHM) the past year and a half, I applaud the women who do it year after year. It's not easy, especially when most people don't consider it work. I have also attempted, since my son’s birth, to run a business like clockwork, while also feeding, cleaning, teaching, and loving my child. Did I mention I’ve been breastfeeding the past one and a half years? Yeah, add nursing to the mix too. I like to think of myself as a stay at home mom and entrepreneur, or MomPreneur. Having a child has given me a better understanding of the love our Creator has for us. My son has expanded my heart to a size I didn’t think was possible. I have enjoyed my time at home with him and our bond is strong. I wouldn’t trade that firsthand experience seeing him grow and develop every day for anything! It has been THE BEST. Don’t get me wrong, we have our challenging days and I’m pretty sure he’s entered the (terrible) terrific twos a little early. Still, it has been a blessing to cultivate our relationship. But, in 2018, I am seeking a change. Over the holiday break, I updated my resume and started applying to jobs. I’d put my son in school, run my business on the side, and enter the workforce to make some serious cash, I thought. I applied to six figure jobs, not out of greed, but to help out my family and fund passion projects. Hey, Proverbs 31 woman was a boss with a plan! I prayed over making the right move and had people at church pray for my job decision as well as where the baby should attend school. I received a couple call backs and emails right away. One of those opportunities lead me down the path of a three part interview process, and at the end I was offered a job where I could make six figures within 12-18 months. Okay, so that was fast. And this is real. What would I need to sacrifice in order to check off that large salary box? First, I would need to enroll my son in childcare full time (9-10 hours/day). Second, I would be required to work every weekend. I was being asked to give up volunteering in the nursery at my church on Saturdays. I would have to sacrifice church service with my family on Sundays. I would have to forgo quality time with my toddler during crucial developmental years. I pictured my husband working all day at our barbershop and me working all day at an office and the lack of time and energy we’d have for one another. I envisioned someone else feeding my son breakfast, lunch, and dinner. I imagined picking him up from school at night, only to have him fall asleep in the car on the way home in Atlanta traffic. I researched top preschools in our area, all of which had at least one horrifying review, and the anxiety intensified. I spoke with the CEO of the company about my concerns with the position, thinking he could talk me into saying “YES”. Accepting the job would be the smart move, right? I was holding on to the idea of being Oprah rather than being the true LeShonda. The paycheck and position would look good but my family life would be in shambles. Ultimately, I decided to decline the offer. With that decision, I learned that it isn’t the size of the check that makes the woman, or the six-figure salary that I’m after. I am worth more than any amount of money I could be paid. I didn’t need so much a change in position but a change in perspective. I realized that my dream career isn’t connected to a figure, but a lifestyle. I want to be able to sustain my family and impact millions of lives by being exactly who I am: wife, mom, entrepreneur, creative, volunteer, two or more races, curly-haired, athlete, daughter, sister, friend, fitness enthusiast, aspiring full-time vegan, lover of travel, writer, reader, leader, Christian, etc. That lifestyle may look like a part-time gig that allows me quality time with my family. It may look like rebranding and refocusing my own business to spark growth. Maybe I'm supposed to direct more efforts into helping my husband grow our male grooming business in this season. Can you really have a superstar career and a superstar family? I think you can try, but ultimately success lies in your ability to integrate your family into your career (or integrate your career into your family)! For now, I’m praying, taking my time with the next decision, and enjoying the moments. After declining job offers, I have a deeper appreciation for where I am right now. Playing musical instruments with my son, witnessing those playful toddler dances, and navigating the journey of building businesses. It’s all beautiful. It’s all part of my story, my legacy. If I stay true to that, money will come, but money is not needed to create a meaningful legacy. In this moment, I believe I can be the stay at home mom embodying the essence of Oprah, as long as I'm being 100% me. And with that revelation, I’d say I’m closer than ever to my goal of making the world a better place. Happy New Year from the Martin Family!